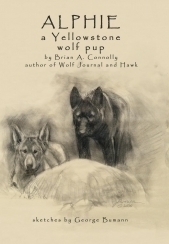 On September 7th the killing of Wolves in Montana will Begin ! 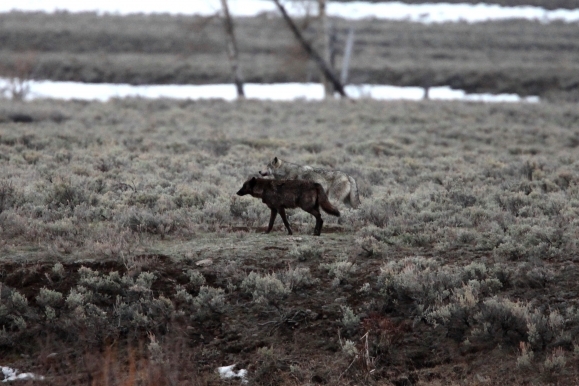 by Howard Goldstein, Wolves of the Rockies Northern Rocky Mountain Adviser. In defense of these legal oriented organizations, the main reason why lawsuits have always been the primary weapon of non-consumptive nature users is precisely because there has never been a paying sociopolitical constituency of them, thereby leaving non-hunting wildlife lovers with no power or voice in state politics, and relying on federal laws and judges as the only possible mechanisms to influence policy in places like Idaho and Montana. Non-consumptive users must be given a place at the table for our needs to be expressed and met. We need the political power to back it up. And this means paying to help fund the state wildlife agencies that have made it very clear that they primarily serve those whose license fees make their paychecks possible. If non-consumptive users can become a paying constituency, the game changes forever. State wildlife agencies will be properly funded, and in turn, will have to represent all nature users, not just the wealthy and politically connected so-called sportsman’s lobbies. It is critical to point out here that non-consumptive constituency is not fundamentally in direct opposition to hunting or hunters, nor is the goal to disenfranchise hunters. We are not trying to push any legitimate hunting interest away from the table, merely to add seats to that table and demand a fair share. On the contrary, expanding citizen influence beyond the handful of established old-guard lobbies could give many hunters who demand true scientific wildlife management, value all wildlife rather than only big game, and strive to maintain ecological integrity and traditional ethical hunter values a far greater voice than they currently have among groups that seem to want to treat elk and deer as livestock, and answer all difficult management issues with costly, unnecessary, and unethical mass predator killing. Nonetheless, the current oligarchy will no doubt attempt to paint non-consumptive constituency as an anti-hunting plot. We should do all we can to assure ethical hunters and conservationists who hunt that it is no such thing and that we want such hunters joining our ranks. But it is inevitable that these groups, who complain non-stop that they pay to fund wildlife management and we don’t, once presented with the prospect of having to share power, will fight tooth and nail against the rectification of the very monetary inequity of which they are so fond of reminding the public. Ultimately, however, they will not be able to keep us out. State wildlife agencies vote by their bank accounts, and they are going broke fast. States are already beginning to broach the concept of non-consumptive users paying, and an organized effort by wildlife watchers to pay their share—and in return get their share of influence— will eventually overcome the artificial obstacles of our opponents. The only real obstacles will be ourselves. Are we finally willing to become paying constituents? Non-consumptive contribution will save state wildlife agencies while giving us a true seat at the table for the first time ever. This is the only real long term solution to protecting wolves, all other wildlife, wild lands, and scientific integrity in management. The line is drawn. The exact mechanism and logistics of how exactly non-consumptive use would help fund state agencies has to be worked out, and there will be difficulties and problems to solve. It is, after all, new territory. But these things will be figured out, if we are willing to commit to the reality that, like hunters, wildlife watchers will have to pay some form of minimal fee to the states that manage the wildlife and habitat that we so love. We have been our own worst enemy. Considering that wildlife watchers spend large sums of money on both participating in their passions and funding large nationwide wildlife conservation organizations, the steadfast refusal to pay a small amount to state wildlife agencies seems astonishing. For the most part, it seems to be the principle of the thing; the most of-heard response is: But we shouldn’t have to pay… the states are supposed to manage wildlife for everybody not just “license holders”, we already pay for public lands via taxes, and unlike consumptive use, we are not removing any resources from anyone else. All good arguments, when debated as abstractions. All completely moot, when it comes down to reality. If you want to actually improve the situation and usher in an unprecedented golden age for science and wildlife, then get over yourself and take the practical steps necessary to make this actually happen. Many people may oppose helping to fund state agencies precisely because they oppose current policy; it is understandable for wildlife lovers to not want to expand the bank accounts of entities that slaughter predators, ignore science, and view our public lands as grazing lots and elk growing ranches. But by becoming paying constituents, such people will have the power to change things, and while there will always be some compromises, the worst offenses will quickly become things of the past. If we become paying constituents, we win. For the first time, instead of being chronically reactive, wildlife watchers can become proactive, and end the stranglehold of a small oligarchy over all of our wildlife and wild lands. There will be challenges ahead; we don’t have all the answers, and there are definitely logistic matters to consider. But solutions exist, and we will find them if we will but cross over the line in the sand into a new paradigm. Howard Goldstein, WotR Northern Rocky Mountain Region Adviser. 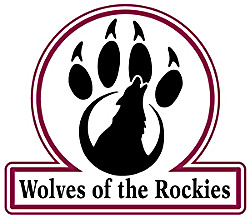 Copyright © 2013 Wolves of the Rockies, All rights reserved. Never buy ANYTHING containing palm oil ever again!! I disagree with the method of releasing minks, although I support the liquidation of the business of mink farming! Every now and then a movie comes along that has the power to fundamentally change the worldview of its audience. Speciesism: The Movie, a documentary directed by Mark Devries, is that kind of film. It premieres in key cities next month. The word “speciesism,” which has been popularized by Princeton bioethicist Peter Singer, refers to the assumption that a vast gulf exists between the value of human interests and the value of the interests of all other animals. Speciesism is, of course, a fundamental principle of human life, as humans view most other animals not as individuals, but as sources of food, clothing, and entertainment — or as targets. Similar to those who have grown up unaware of overt racist or sexist beliefs in their worldview, speciesism is so thoroughly assimilated in most of us that it is invisible and unquestioned. Just plain sad… can’t find another word to symbolize my feeling right now. Frasier Island, on the southern coast of Australia, is the largest sand island in the world. Besides sand, the 75 by 15 mile area is comprised of rain forest, swamps, mangroves, eucalyptus, as well as the last remaining population of pure dingoes, Australia’s native wild dog. Much of Australia’s dingo population has intermixed with the domestic dog. Frasier Island prohibits entry of dogs in order to prevent this. 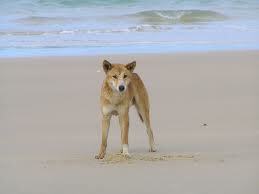 However, there is little government protection for the dingo other than this. Jennifer Parkhurst, known as the dingo woman, has spent years photographing and fighting for the dingoes of Frasier Island. 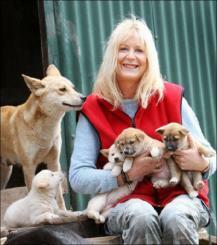 However, in 2010 she was fined $40,000 and handed down a nine month jail term for illegally feeding the wild dogs.